Student Project - Witches Wanted! 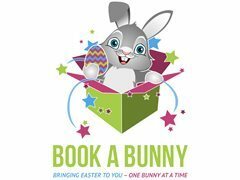 Book A Bunny is looking for a bubbly, reliable and responsible promotional workers for our Easter events between 19th to 21st April. You must be available on the said day and hold a WWC. Looking for positive personalities great with kids. You must be available on the between 19th to 21st April and hold a WWC. Looking for positive personalities great with kids.